We're going to be touring pre-CES and CES show floors looking for interesting things to make note of, and already found something that piqued our attention. While walking around CES Unveiled, one device which caught our eye was the Parrot Asteroid, a single DIN sized head unit for vehicles - that's nothing out of the ordinary, except the Asteroid runs Android. 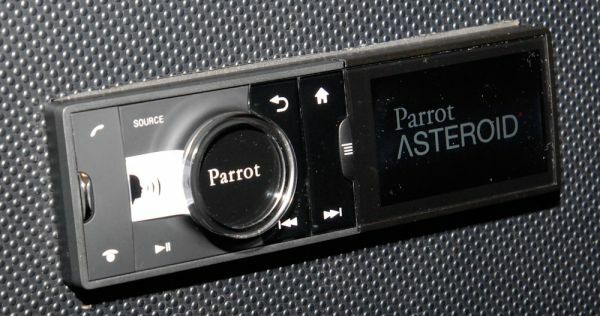 The Asteroid includes a 3.2 inch screen on the front which unfortunately isn't touch sensitive, however the Parrot has written its own Android UI to mitigate the lack of touch input. Reps weren't sure what version of Android the Asteroid was running, but noted that development has been going on for a little over two years, which leads us to suspect the 1.6 sort. 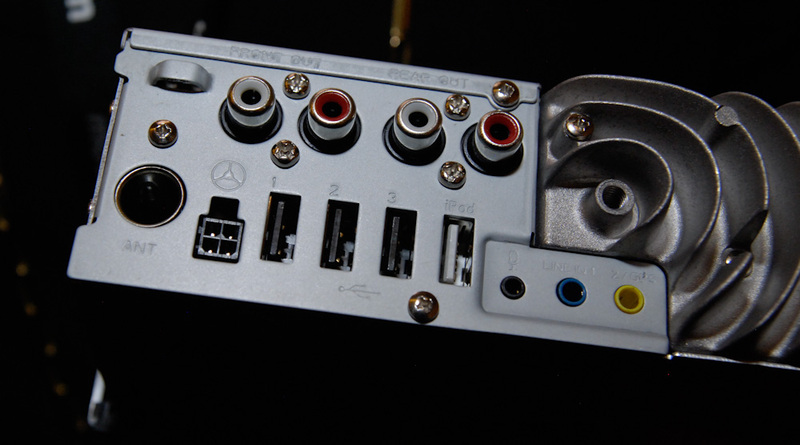 The head unit has no fewer than three USB ports on the rear for connecting a 3G dongle, GPS dongle, and removable storage, and a fourth dedicated for iDevices. 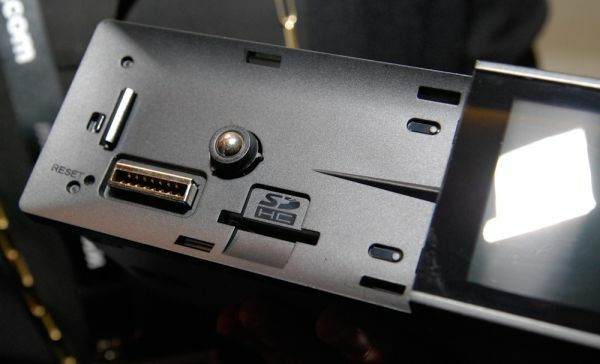 On the front underneath the removable faceplate is a slot for SD cards. The Parrot will have its own SDK and marketplace for applications - necessitated by that lack of traditional touch input. Parrot will provide first party maps support (and hopefully turn by turn navigation if you include 3G and GPS), as well as audio playback and library support for iDevices and external storage. There isn't any word on what codecs are supported, but it's reasonable to expect the same suite of codecs as you'd get in stock Android. The usual Bluetooth, AM/FM and RDS support (like you'd expect from a head unit) will also be present. Parrot is shooting for availability early 2011. For sake of argument, we will assume (laughably) that every released CD album is a full 80 minutes long and you will be storing the music losslessly in unaltered WAV format for 700MB per album. Hey now, I'm only 28 and the CD is still my primary form of music media (although vinyl is quickly taking over...it just sounds better). The problem with your SD card solution is that I would have to plan in advance what CDs I wanted to listen to. I can't just grab one of the shelf as I'm heading out to the car. You could probably add a USB CD drive to one of the USB ports on the back, this is what most people with a carputer do if for some reason they need CD capability. I actually do use the CD drive in my headunit, but only because the headunit doesn't support playlists off of USB storage. So I have a few discs of random MP3s burned for when I want a random mix and full albums on my USB storage. In my last car where I had a carputer I never had optical disc capability and never missed it, I had a USB port next to the screen to hook up my phone/flash drive/MP3 player if needed.